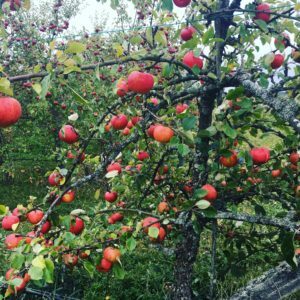 In the autumn of 2015 Lena decided to do something with the 10 hectare of biodynamic apple orchard just outside Hallstahammar, in Berg. This is 100 kilometres west of Stockholm. These orchards were planted in 1993 and are unique with around 100 different and ancient varieties that’s more or less impossible to find elsewhere. Many of them comes from former Eastern Bloc countries where people before the wall fell, grew quite a decent amount of apples. These apples were for food and beverage purposes and completely organic because the people simply couldn’t afford chemicals. It meant that only varieties suited for these growing conditions survived. Therefore these sturdy, cold and resistant varieties was kept. So, this orchard is not only an apple orchard, it’s also cultural heritage. One of the missions that this gang has is to find more old, sturdy varieties that is suitable for both the climate and cider production. Lena has been working with the development of what we can do within our cold country for quite a while now. When she saw this place, she just couldn’t resist the challenge. 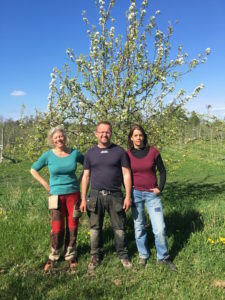 She took her husband Anders on board the journey and they bought this orchard together, and from 2018 their daughter Johanna is also part of the team. It has not been the easiest work, trying to understand which variety is which. 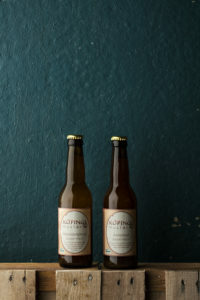 You can be sure that they have eaten quite a bit of apples to distinguish what is good for what, when the best harvest time is and also to find the perfect equilibrium for the blended must and cider. This project is in its first face, and we look forward to follow it, the future looks really interesting. 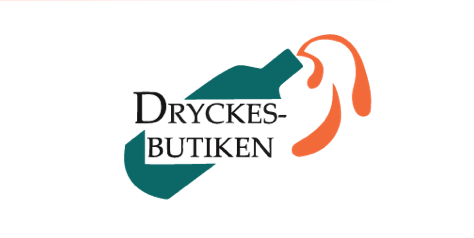 Products: The must is pure, complex, always with high acidity. The always pasteurize at 83-85°C and use no filtration, to keep flavour, structure and nutrition. 2017 Anna Margareta 5,7%: 50% Angold, 30% Raja 20% Pollinerare apples. Harvested when frozen in mid December. Direct crushing and pressing before fermentation on fiberglass tanks. After fermentation was over they bottled the cider and added some must to start the bottle fermentation and create natural bubbles. Not disgorged. 2017 Nils Alfred: 50% Rubinola 50% Santana apples.